I’ve said before that if you appear on the cover of Vogue then you have made it in life. Well I guess Kim Kardashian and Kanye West’s dreams finally came true after constantly stalking and badgering Anna Wintour. I was hoping Kendall Jenner would grace the cover of Vogue before Kim; I like Kim K but like I said before I think she was trying too hard with being a “fashion icon” and wearing pieces that she wouldn’t normally wear because of the influence that Kanye has with her style. 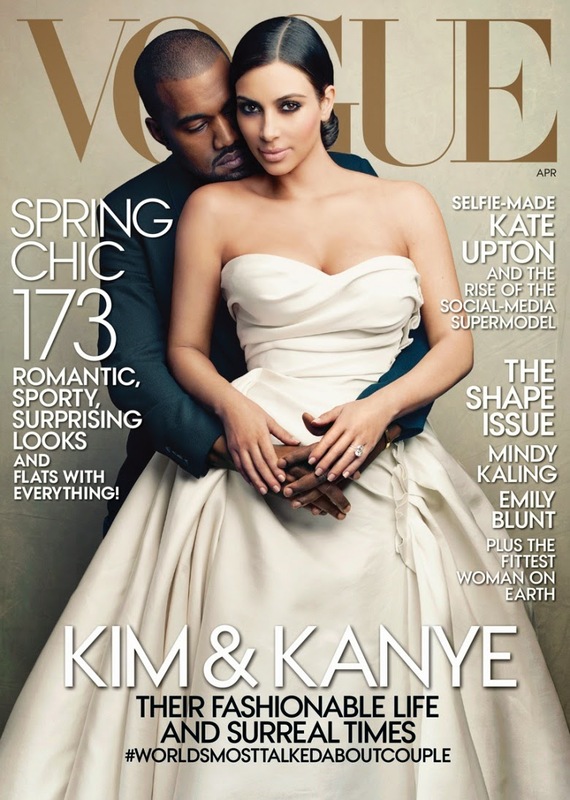 Anyway, kudos to Kim on finally making it to the cover of Vogue; your life should now be complete, your baby is super cute, and you’re beautiful no matter what these haters say. Just stop remodeling your face.